Survey a group of homeowners about the worst problems they’ve come across and had to repair during their homeownerships, and plumbing problems are likely to be some of the most popular answers. A problem with your plumbing system may result in drainage issues or even backup through the sink, but water piping issues can be just as bad. And one of the plumbing problems that may take you by surprise during your homeownership has to do with the quality of your water. We’re not talking about bacteria and other pollutants. That’s an entirely different problem. 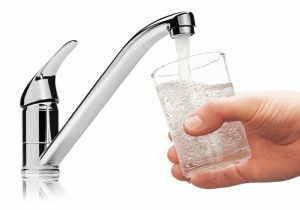 Today, we focus on hard water: what it is, how it wreaks havoc on a plumbing system, and how a water softener can help. WHAT KINDS OF TOOLS ARE USED FOR LEAK DETECTION? When plumbing leaks are shown on television, the leaks are usually highly visible: water spurts from an accessible pipe, etc. While the leak in your business space may be spurting, there is a very good chance it won’t be visible until it has become a serious problem. Why? The vast majority of your commercial plumbing resides behind walls, under floors and in ceilings; as such, until water penetrates the dry wall or plaster, or puddles on the floor, you may not notice anything. Additionally, locating one leak doesn’t always mean you’ve pinpointed the entire problem. This is why hiring experts for your commercial leak detection is so important. When you hire the experts at BZ Dependable Plumbing & Heating, Inc., for commercial leak detection, they bring years of experience, coupled with the latest tools, to every job. This means our plumbing specialists will find your leak(s), assess what has to be fixed and repair the problems in a timely, efficient manner with as little intrusion as possible. First, let’s take a look at some of the signs that can indicate you may have a leak. Specialized audio equipment – a leak will make noise, even a small leak, so one of the ways professional plumbers find leaks is to use very sensitive audio equipment to listen for the sounds. Visual aid equipment – a great visual aid many professional plumbers use is a fiber optic camera. This type of tool is a long, snaking cable that has a camera on the end of it that sends back real-time video images of the inside of the pipes. This allows the plumber to see exactly how bad the leak is and where it is located. Infrared scanning – infrared scanning detects areas of moisture by registering temperature. Areas that are wet will be cooler and will appear as such on the infrared scan. As you can see, some pretty sophisticated equipment is used to detect leaks, and these tools require training and expertise. If you need leak detection for your commercial property in Fort Lee, call the plumbing experts at BZ Dependable Plumbing & Heating, Inc., today! Posted in Drain and Sewer | Comments Off on WHAT KINDS OF TOOLS ARE USED FOR LEAK DETECTION? Garbage disposals pulverize food waste into a manageable form of waste that can be easily washed down your drains. As long as you follow the guidelines, which include things like keeping glass, plastic, metal and FOG (fats, oils, grease) out of the disposal, you can avoid food-related clogs from developing. One of the best ways to scour your pipes with an all-natural remedy: white vinegar and baking soda. The chemical reaction that occurs when these two materials combine in your drain creates a mixture that can scour some very tough stuff off the insides of your piping; you can even do it with your toilet. Doing this once a month can help keep your plumbing in tip-top shape. If you don’t have a garbage disposal, running hot water down your pipes is a good thing because it helps clear sticking debris and flushes it out of the system. Running hot water twice a week is a good way to keep your drains healthy. FOG (fats, oil, grease) is one of the prime enemies of any plumbing system, be it big or small. FOG sticks easily, and when it congeals, it can become hard and stubborn. Hot water will not help the full removal of FOG from your plumbing system because it only serves to melt it and push it further into your drains, where it can congeal. Just as schedule annual heating maintenance for your heating system, so, too, should you schedule plumbing maintenance for your plumbing system. Don’t let those brand new plumbing pipes from your Fort Lee kitchen remodeling become clogged with gunk. Use these tips from our BZ Dependable Plumbing & Heating, Inc., experts and keep your new plumbing system happy and healthy. Choosing a new heating system can be the perfect opportunity to find an efficient, environmentally-friendly unit that will last for years to come with few repairs. Choosing the right system doesn’t have to be a stressful experience as long as you work with a licensed contractor who can explain your options and talk you through the installation process. At BZ Dependable Plumbing & Heating, Inc. we want to help you find the right system for new heating installation with this guide to a few of the units we offer for heating system installation in Fort Lee. If you currently own an oil furnace, you may not have the most efficient system possible. Oil tanks take up a lot of room and drain the environment of its natural resources. If you switch to a gas furnace, you will no longer have to worry about fuel deliveries because natural gas is pumped directly into your home. Consider oil to gas conversion for a greener and more convenient energy choice. *BZ Dependable Plumbing & Heating Inc. no longer offers radiant heating services. Check out our other heating services to find the perfect fit for your heating needs. Radiant floor heating is one of the most comfortable ways to get heating in your home. This system requires a boiler tank to heat up water and pump it into a set of pipes installed underneath the floorboards. This keeps the floor heated, so you can feel its warmth as soon as you roll out of bed in the morning. Radiant floor installations distribute heat evenly throughout a room, allowing you to feel heat in any area of the house, not just near a vent as with forced-air heating systems. Instead of a hot water boiler, you may even consider a steam boiler. Hot water boilers do not actually boil water, as the name implies, but steam boilers do, raising the temperature of the water to about 140-160 degrees Fahrenheit to create steam, which then moves to an endpoint such as a radiator or baseboard or through the radiant floor heating piping. These are particularly effective in climates where the temperatures drop to below freezing, while other boilers begin to struggle at this point. Call BZ Dependable Plumbing & Heating, Inc. for professional heating system installation in Fort Lee and the surrounding areas. IS A TANKLESS UNIT A GOOD OPTION FOR WATER HEATER REPLACEMENT? A water heater is essential for a range of tasks from laundry to showering to washing your hands. When you need a new water heater, you want a system that will last for years to come and won’t quit during the most important daily activities. A dependable type of water heater that is growing in popularity available today is the tankless water heater, one that does not store water in a tank for later use, like typical units. But are tankless water heaters right for every home? We’ll take a look at both tank and tankless units so that you can decide for yourself which is the best option for your particular needs. Storage tank water heaters are the most common type used in homes today. These have large tanks which keep water heated at all times so that you have access to it at any point in the day. A long tube leads to the bottom of the unit, where there is either a gas burner underneath or an electric heating element inside of the tank. Thanks to the heat rising principle, hot water rises over any cold water in the tank and is sucked up through a small pipe at the top. While these units are generally less costly than tankless units, they may do a poor job of heating large volumes of water, which is why many people decide to go tankless. Instead of storing water throughout the day, tankless water heaters contain a computer that directs the unit to turn on whenever a hot water tap is activated in the home. A tankless water heater runs on electricity or gas to activate a high powered heat exchanger, which heats water as soon as it passes by. Because they don’t use energy throughout the day, tankless units will save some energy over storage tank water heaters—particularly if your previous storage tank unit was electric, as electricity costs more to consume. Tankless models also tend to have longer lifespans, as they are less likely to be victims of rust and corrosion too early on since they do not continuously store water. In some homes, you may need multiple units to ensure top performance. For more information about tankless water heaters in Fort Lee, call the experts at BZ Dependable Plumbing & Heating, Inc. today! Posted in Water Heaters | Comments Off on IS A TANKLESS UNIT A GOOD OPTION FOR WATER HEATER REPLACEMENT? Most people can admit that, at some point, they have had clogged or slow moving drains in their home for a period of time before really dealing with the problem. Some homeowners are content to settle for frequent quick fixes to the problem, rather than to schedule professional drain cleaning in Fort Lee, NJ with a qualified plumber. The team at BZ Dependable is here to tell you that that is simply one of the worst decisions that you can make, not only for your own convenience but for the condition of your plumbing system as well. Don’t put off professional drain cleaning any longer. Having your drains professionally cleaned is a pretty simple process, which makes some homeowners’ hesitance to scheduling this service a little confusing. While over the counter chemical cleaners may seem very convenient, they very rarely resolve a drain clog completely. Before long, you will probably find that your drains are moving slowly again. That’s because the entire clog was probably not removed the last time, nor is it likely to be this time. It may seem like a better option to snake your drain out on your own, but without the skill and training that a professional plumber has, this will likely be just as ineffective. A professional plumber will pinpoint the location of the clog in your drain. Using a drain snake or auger, the entirety of the clog can be removed. This makes the development of further clogs in the future far less likely. Plus, with the professional grade equipment available to licensed plumbers, the thoroughness of the job can be assessed. With tools such as video camera pipe inspection, a professional plumber can actually peer into your pipes and inspect them from the inside, ensuring that everything was cleared out successfully. We can also use BioSmart Drain Treatment to clear your pipes, which is a very effective alternative to harsh drain cleaners that can be safely handled by septic systems and sewage treatment plants. This system uses enzymes and bacteria to clear up grease and organic waste, and it can keep working for weeks after your initial treatment. For more information about when to schedule professional drain cleaning in Fort Lee, NJ, give BZ Dependable a call. We’re glad to answer any questions you may have. When you work with us, you can rest assured that your pipes are protected from clogs, bursts, and other issues that can result from a lack of thorough drain cleaning service. Do you have slow drains in your home? Are you worried that your plumbing system will shut down because of a clogged drain? While we often think of plumbing as faucets, fixtures, and hot water, we overlook the important role that our drainpipes play. We would not be able to enjoy hot showers or clean clothes without them. That’s why it’s important to do everything you can to avoid having to call a plumber to come unclog your drains. Although we’re happy to do it and we offer 24/7 emergency repair, we’d rather you avoided the trouble. Call a Fair Lawn, NJ plumber at BZ Dependable today if you’re in need of professional repair or drain cleaning service. Schedule drain cleaning: This is the best way to prevent clogged drains. 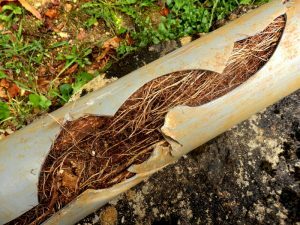 Considering the amount of wear and tear that your drainpipes endure on a daily basis—think of all that hair, grease, soap scum, and organic waste—it’s no wonder that your drainpipes might begin to accumulate debris on the interior surface. When this accumulation becomes substantial enough, it can attract other debris, and that’s how a clog forms. Drain cleaning uses safe, effective technology to ensure that your drains are cleaned thoroughly. BioSmart drain treatment: This is another option available to our customers. Forget toxic and hazardous chemicals that tend only to ruin your plumbing and offer temporary results. BioSmart drain treatment is an excellent way to ensure that your drains are cleaned naturally. This treatment puts bacteria and enzymes within your drainpipes that break up and remove clogs in your drainpipes. The best part is that it continues to work long after you have rinsed the drainpipes, and keeps your plumbing in great shape, without negatively impacting the environment. No hair and grease: Try to avoid putting hair and grease down your drainpipes. Use a hair stopper in the shower or bathtub, and collect grease in a separate container for disposal. While grease may be liquid when hot, it becomes a sticky paste when it cools off and this leads to clogs. Call BZ Dependable today if you’re in need of an expert Fair Lawn, NJ plumber for drain cleaning or repair services. Our plumbing often works inconspicuously behind walls and under floors. Out of sight, out of mind; that is, until something goes wrong. Problems make us pay attention to aspects of our home we have long taken for granted. The kitchen and the bathroom where we use the most water, and are therefore often the rooms most likely to require professional attention. In this post, we’d like to share with you some common bathroom plumbing problems, so that you can keep an eye out around the house this summer. When you need plumbing repair services in Fort Lee, NJ, call the experts at BZ Dependable Plumbing & Heating Inc.! Clogged drain: Your wastewater disposal system relies on the rapid and efficient transport of organic waste out of the home. Over time, your drainpipes may develop accumulations that can lead to clogs. When these total blockages form, they can severely impact the ability of your drain to work properly. Not only that, they can also cause system imbalances that can disrupt other parts of your plumbing. But don’t resort to harsh chemicals. They can often lead to severe damage to your drainpipes and may cause costly pipe replacement. Professional drain cleaning will not only preserve your pipes, but also make sure the clog is cleared away completely. Faulty trap: The U-shaped or P-shaped bend in the drainpipe of your bathroom vanity is known as a “trap.” It is designed to keep your sewer gases and fumes from entering your living space. It works by trapping a small amount of water in the bend that functions like a seal to prevent such gases from coming back up the drainpipe system. If it begins to leak, or if the seal doesn’t hold, then you may have a faulty trap. Toilet running: Not only will a running toilet, like a slow drip from the kitchen faucet, keep you awake at night, but it may also add substantially to your water bill every month. Make sure your toilet is not costing you more money than necessary. When bathroom plumbing problems occur, it’s important to make sure that they are taken care of promptly. For plumbing repair services in Fort Lee, NJ, call BZ Dependable Plumbing & Heating Inc.!